Joseph Stalin was one of bloodiest dictators in world history and one of the most significant people of the 20th Century. He was the absolute ruler of the Soviet Union and the Communist Bloc of Eastern Europe. He killed millions of his own citizens and was its wartime leader during World War II. Despite his atrocities, Great Britain and the United States were compelled to work with Stalin against Germany. These books cover a range of topics associated with Stalin. While some of these books could qualify as biographies, others focus on his policies and the consequences of his actions. These books provide a nuanced view of him and his impact on the world. 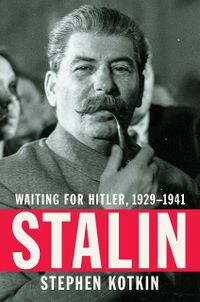 This Pulitzer Prize-finalist Stephen Kotkin second volume of his definitive biography of Joseph Stalin, from collectivization and the Great Terror to the conflict with Hitler’s Germany that is the signal event of modern world history. This book covers the history of the world during the build-up to its most fateful hour, from the vantage point of Stalin’s seat of power. During the Great Depression, Americans attracted to the Soviet Union. Unfortunately, many of them met tragic fates. Tzouliadis shows how their dreams met with a harsh reality in the Soviet Union during Stalin's Red Terror. 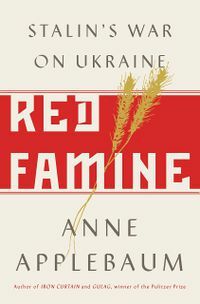 In Red Famine, Anne Applebaum argues that more than three million Ukrainians died in the 1930s not because they were accidental victims of bad policy but because the state deliberately set out to kill them. Devastating and definitive, Red Famine captures the horror of ordinary people struggling to survive extraordinary evil. This book provides a wide-ranging overview of Stalin. It is not a comprehensive as other books on this list, but it is a fantastic place to start. Simon Montefiore's acclaimed biography of Stalin during the decades of his rule. Montefiore's portrayal shows that Stalin's triumphs and crimes were a product of his fanatical Marxism and his deeply flawed character. Between the winter of 1936 and the autumn of 1938, approximately three-quarters of a million Soviet citizens were subject to summary execution. More than a million others were sentenced to lengthy terms in labor camps. Commonly known as 'Stalin's Great Terror', it is also among the most misunderstood moments in the history of the twentieth century. While Stalin has often been dismissed as paranoid and irrational, Stalin's behavior followed a clear political logic, contend Yoram Gorlizki and Oleg Khlevniuk. Stalin's consistent and overriding goal after the war was to consolidate the Soviet Union's status as a superpower and, in the face of growing decrepitude, to maintain his own hold as leader of that power. Here is a pioneering account of everyday life under Stalin, written by a leading authority on modern Russian history. Focusing on the urban population, Fitzpatrick depicts a world of privation, overcrowding, endless lines, and broken homes, in which the regime's promises of future socialist abundance rang hollowly. This page was last edited on 14 February 2019, at 10:16.